When mom starts getting lost on her way to the supermarket or dad just can’t get up and down the stairs like he used to, everyone in the family may agree it’s time to get some help. Sometimes, this transition goes smoothly, with siblings pooling their resources and tackling the problems together. But other times — OK, let’s be honest, most of the time — long-simmering disagreements between family members can crop up and get in the way. But this doesn’t have to turn into the latest edition of Family Feud. Here are some common problems and how to navigate past them. You get that dreaded call that mom has taken a fall and is in the hospital with a broken hip. The doctor says she’ll need full-time care after her stint in rehab, but no one has a clue where to start. She suggests you ask your parent, hypothetically, what she would want in the future: How important is it to age at home? Would she rather live in a community where she can socialize? Would she prefer to move in with one of her children, or does she have the funds to hire an aide and remain at home? “This should be a long, ongoing conversation so when it does occur it’s not a traumatic event for the family,” Rubinstein says. Whether the fights are about who mom loved the most, or who got a raw deal when dad sold the house, family fights can have a habit of cropping back up just when you need to work together as a team. 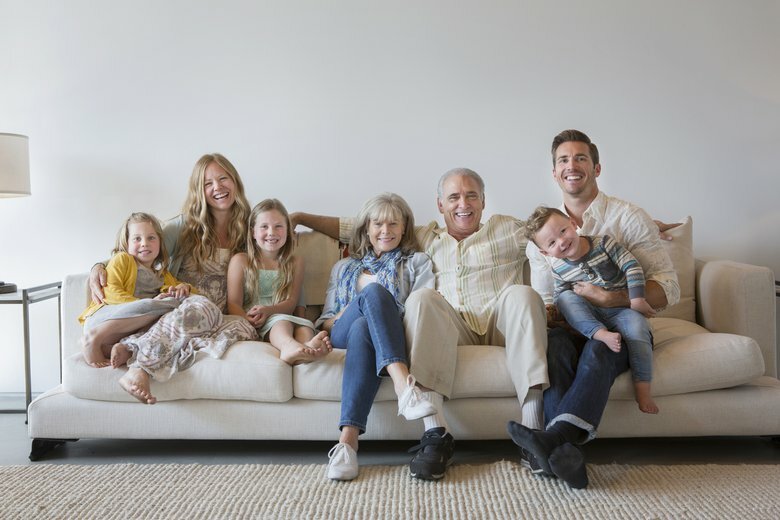 Call a family meeting and agree that you can work on those issues together at a later date — perhaps even with a family counselor — but at this moment, the priority is making sure mom or dad is safe and well cared for, says Rubinstein. “As difficult as it may be, you have to take your own feelings out of it and make the best decision for your parent,” she says. Money is the root of so many family arguments. If one sibling is struggling to pay the rent while the other has a six-figure salary, how do you equitably split the cost of caring for dad? Who gets the house when he sells it? Should the family member responsible for the day-to-day caregiving inherit a larger chunk of the estate? The first step is to figure out exactly what your parent can afford, and how much will have to be supplemented by family members. “Lay out what your parent’s resources are in a budget, including income, assets, expenses and any debts, so no one is in the dark about where the money is going,” says Goyer. Once you figure out what’s needed, see how each family member can contribute. “Focus on what each person can do, and integrate that into the plan, instead of being resentful about what they can’t do,” Goyer adds. If a sibling can’t pitch in financially, he or she can help out in other ways, such as cleaning out the garage, scheduling and driving mom to doctors’ appointments or helping with grocery shopping once a week. Even after you’ve created a budget and discussed what mom or dad would truly want, you’re still butting heads over the plan. When you’re making decisions for someone you love, emotions can sometimes get in the way of seeing the picture clearly, says Goyer. She recommends hiring a geriatric care manager (try AgingLifeCare.org), who can assess your loved one’s abilities and needs and guide you toward the best resources for her situation. Or you can seek a family mediator, who can help the family come up with a plan that works for everyone. OK, you’ve all agreed that mom needs a full-time, live-in aide. But who is taking the lead on finding and interviewing the best candidates? It can become confusing if each sibling thinks someone else is one handling a task — or you and your sister both take the lead and then get annoyed that you stepped on each other’s toes. “Write down exactly what each family member is responsible for, and send it in an email so everyone has a copy,” Goyer says. Just when you’ve gotten everyone to agree, mom decides to fire her aide or the brother who’s been handling the day-to-day care gets a great job opportunity in another state. When you put a plan in place, agree that it may be edited and updated as your family situation changes, and check in with each other at least every three to six months, but certainly when there is a change in health, finances or care, says Goyer. 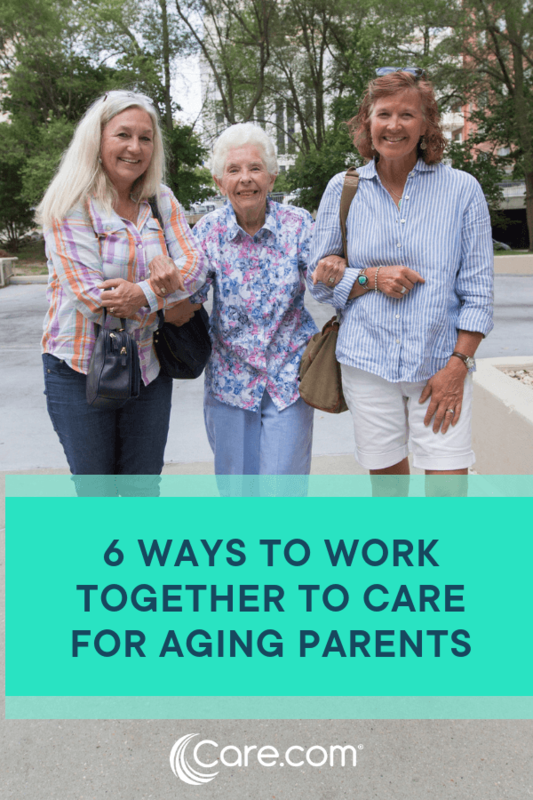 Regular communication is helpful not only for keeping up the level of care your loved one needs, but it could be just the thing you need to reconnect with your siblings after all these years.